A tiny country, that takes up a little more than 4,000 square miles of this earth, produces some of the most interesting people in the world. With two mountain ranges, a strip of coastline, and an inland plain, Lebanon is a place where you can experience a diversity of lifestyles, some of which you may never have seen before. For example, Lebanese people looove Nutella, they kiss each other a lot, text a lot, they are terrible drivers (sad, but true), enjoy taking selfies, and they make lists, for everything. Lebanese people are extraordinary in that they make you look at things from a different angle, love your life as it is. Lebanese people have some quirky characteristics you might not know about. Here’s what distinguishes their culture from others. 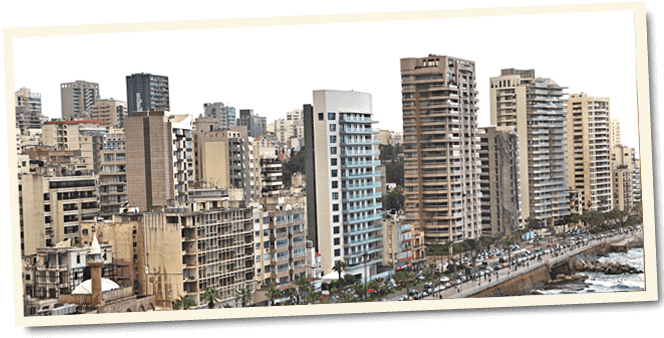 As you might know, Lebanese people suffered through some tough times and it has left its mark on the nation. Instead of suffering silently, discussing politics loudly in a bar with a friend has become a favorite pastime. There is always a topical issue to be argued or joked about, and having a good time with a friend is an added bonus. Lebanon is a country that invests in higher education. The country has some of the best universities in the region for its inhabitants. Parents are usually very strict and demand dedication to school and learning. Lebanese children grow up knowing that through education it is possible to have a better future. One thing that many nations share is a love for a television. But the Lebanese, they adore it. The proof? There are fifty commercial television stations in Lebanon! Another family leisure time activity? Playing board games, such as Monopoly. Like many others, the Lebanese love good food. Lebanese cuisine is Mediterranean, with pita bread and rice as staple foods. What are for most people in the U.S. exotic foods, for us are daily joys. Here are some interesting facts regarding food in Lebanon. Hummus (a chickpea dip), and ful (a fava bean dip) are the most recognizable foods from this area. Besides traditional food, people of Lebanon love to eat pasta. Eating in Lebanon is closely tied to the family – you never eat alone. Eating outside the home is commonly a social experience. Lunch is the big meal in Lebanon. Almost everything is eaten with bread. Mezze is a course that consists of many small plates. Lebanon’s national dish is kibbeh (a croquette or pie made with minced meat, onions, and spices).